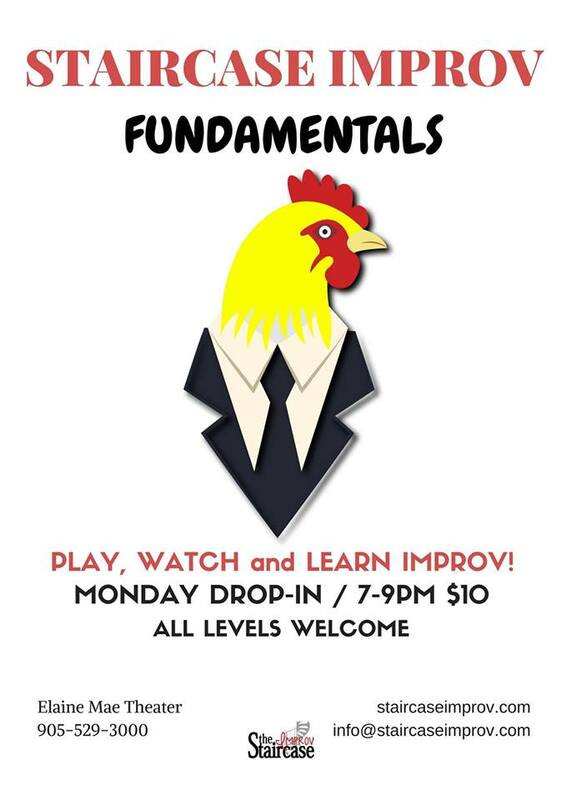 Learn improv comedy in a fun and supportive environment. Experienced improv comedy teachers from Staircase Improv will guide participants through the basics of improv comedy. A Beginners drop-in workshop open to improvisers of all experiences, and ages. Participants less than 16 years of age require parental accompaniment. Dress in comfortable clothing as movement is guaranteed. Limited to 16 participants per class. Cost is $10. Cash only Class takes place in our ancilliary building at 25 Dundurn St North, enter through rear door, main level Elaine Mae Theatre AND HEY! If one day of improv isn’t enough for you well you are in luck!!! We have 3 days a week for satiate your improv wanderlust.